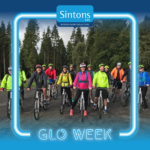 Join in with GloWeek between Monday 28th October until Friday 1st November to help highlight road safety and raise much needed income for our vital work with families across the UK. Help us smash our 2019 GloWeek fundraising target! This year, we are looking to raise £12,000 and we need your help to do it! Every year, hundreds of our dedicated corporate supporters and families take part and do the most incredible things to raise money. We already know of some really BRIGHT ideas that are being organised. 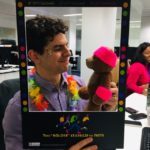 For example, Boyes Turner in Reading are holding their very own Clubbercise event, Direct Line in Manchester are holding a Bright Sparks Quiz Night. The question is – what will you do?! Please contact glow@cbituk.org and let us know what you’ll be doing this GloWeek. We will then send you out our dedicated fundraising pack and posters. We will promote your activities on our website and through our popular social media channels. Also, we have a limited number of GloWeek selfie frames for you to use for your social media opportunities. Those with the brightest ideas get the selfie frames – what better way of telling all the world about how fantastic and supportive your team is! What are you waiting for – do the bright thing and get glowing to raise vital funds for children and families devastated by brain injury. Request your Glow Pack today! If you would like to receive a hard copy of any of our fundraising materials then please contact the Fundraising Team now.